The Chevrolet Detroit Belle Isle Grand Prix will not provide any specifics to back up its claim that it has contributed $13 million in improvements to the state-operated island. Merrill Cain, spokesman of the controversial event, provided a list of “projects that we have contributed to Belle Isle since 2007” but refused to answer questions about the nature or location of the projects or how much money the race spent on any of them. Michigan Department of Natural Resources chief Ron Olson told me that the DNR could not provide its own documentation of the $13 million. In February 2014, the state leased the island from the city for $1 over the protests of may Detroit residents. On the DNR website is a report on the state’s first year of operation of the island. It doesn’t mention any revenues from the Grand Prix. Olson says the DNR gets $200,000 a year from the Grand Prix for the rights to hold the race in the park. Help Keep Independent Journalism in Detroit alive: Donate to Motor City Muckraker. The DNR report notes revenues of $4.1 million for Belle Isle from MDOT. That money was spent on improving the roads on the race circuit. It was a legislative appropriation, Olson said, not Grand Prix revenue. Olson said there were contributions from the race not noted on the website, including an annual inspection of the Scott Fountain to keep it operational; renovations to Shelter 9; and extensive work on the casino. The Grand Prix uses the casino as its media headquarters during the race. Olson also mentioned the new bridge lights. It’s been reported they were paid for with a $50,000 donation by Pistons owner Tom Gores. Platinum Equity is a Gores company. Asked for details about road improvements, lighting and draining repairs, bridges, bike lanes, parking, playscapes, picnic tables, and the other items, Cain would not explain the number, location, or cost of any of the projects. Without this information, it is impossible to say how much of the claimed $13 million in improvements went solely or mainly to build and improve the race circuit. Most of the improvements appear to have been made to the west end of the island, where the race is held, and to facilities used by the Grand Prix. It’s well known that Roger Penske converted ten acres of grassland near the Scott Fountain into a concrete paddock. Is that a park improvement? In Cain’s description, it’s “creating new concrete areas to be used by park visitors for parking and community events and activities year round.” But were park visitors asking for more concrete on the island? 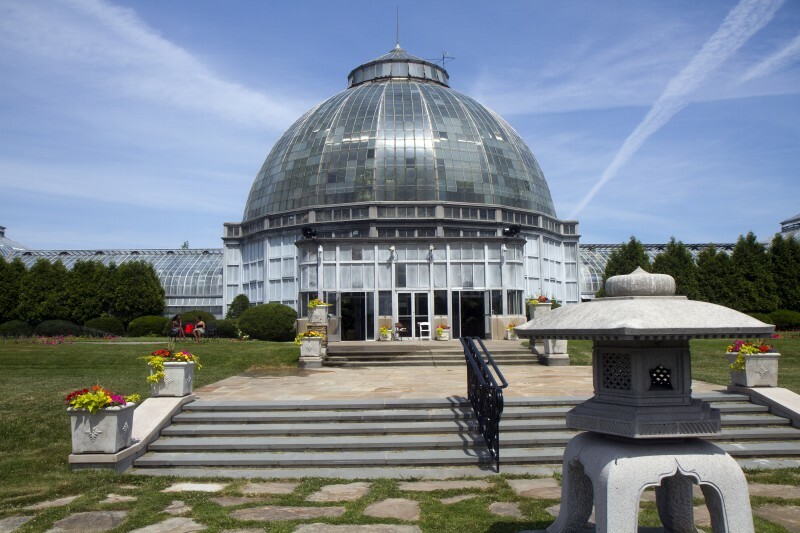 In addition to what’s noted on Cain’s list, the Grand Prix has supported the Belle Isle Conservancy – not with money from the race itself, but from the pre-race gala fundraiser, the Grand Prixmiere. In 2013, the party netted $229,285 for the Conservancy. In 2014, it raised $652,879; in 2015, $1,087,001. This year’s party raised $545,617. All told, that’s more than $2.5 million for the conservancy, and, according to Conservancy president Michele Hodges, it’s been spent on operating the aquarium, mitigation of invasive species, assessments and restoration of historic structures, field trips for 2,000 Detroit Public School third- and fourth-graders, hiring an education coordinator, improving the island’s trail system, and Conservancy administration, planning, programming, and initiatives. It’s clear that Grand Prix revenues have supported work on Belle Isle. The race organizers are staying quite vague, however, as to exactly how much money was spent where. The city, the state, and local media have not to date pressed them to say. Move the race back downtown. Let the citizens enjoy the Isle. We are being excluded from Isle for private profit. FOIA the state agreement. The “projects” were probably executed under 501c3s of the partners. Either way, they do not have to report financial records, but the state does. You may want to seek out congressional assistance. Wow. none of the other local media outlets have press anyone for info on where moneys were spent or who gave what to whom? What a surprise! Media (local and national) have been tamed. This institution has gone from watchdog to lapdog. Quite taken aback. I, and the 2,601 Friends of the Belle Isle Aquarium would very much like to see an accounting. Well geez…the People would like to know this information from the Grand Prix Race Organizers since this race has been on the Isle. We would like a detailed accounting of each single year & I’ll bet Mr. Penske could secure all of these yearly accounting records. We would like to know what they spend on this race, how much they make on this race & how much has been spent & where on the Isle specifically has it been spent. Open accounting and transparency should be forthcoming from this event!